According to statistics, about two-thirds of the world’s population now possess a smartphone. With the data at hand, it is possible to say that nowadays mobile devices have become one of the most important means of communication. Companies of all sizes – from big corporations to single restaurants – make it part of their marketing strategy to offer their customers a mobile application, not willing to miss the multiple opportunities that mobile presence offers. 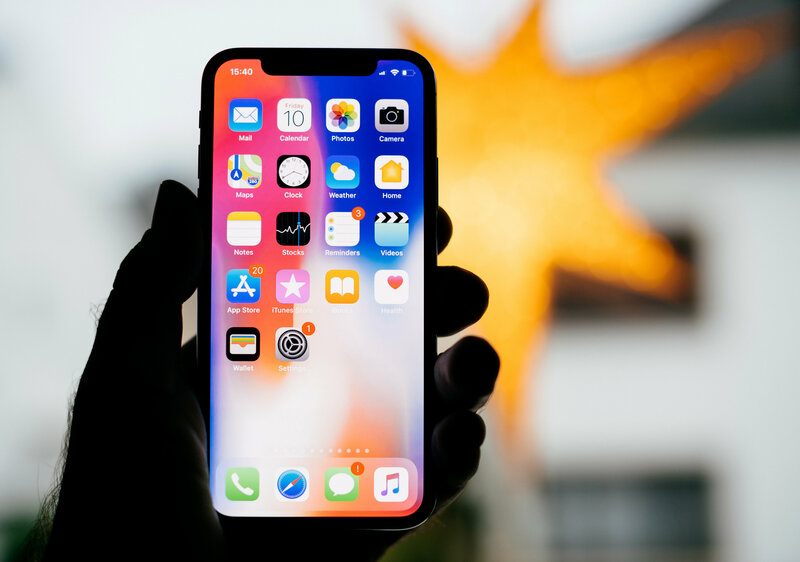 Developing a mobile application is the decision that can help you reach more customers than with a website and other more traditional marketing tools – smartphone owners will likely appreciate the new way to interact with your content. And as the number of smartphone users is gradually increasing every year, you can grow your audience by interacting with people right where they are. If your competitors already have an app and you are not even planning to have one, chances are you will lose the game in the end. To leave other companies behind, you need to be the first to lure customers by technical innovation, which is always good to invest in. Being competitive in today’s market for a business means to create convenient purchasing journeys and take into account what type of device their clients are using. A mobile app is one of the most effective ways to build and raise brand awareness. The more often the customer interacts with your brand, the greater is their intent to buy your products and use your services – your logo on the screen of the user’s smartphone alone can help you to raise brand awareness. An app offering useful functionality and information will more than double your chances to strengthen your brand. With a mobile application you can interact with your target audience using a unique marketing channel. Firstly, it’s the application itself with which the user can interact any time it is convenient for them – your products with sales, special prices and promotions are always at their fingertips. Secondly, you can reach out to your customers using push-notifications and tell them about your products and services whenever it is convenient for you. A mobile app is another channel through which it is possible to increase sales. The growth can be significant, especially if you use the available marketing tools the right way – send push-notifications with promotions, discounts and bonuses. You can send them to all of your clients at once or target within a certain area – be it near your brick and mortar store or any other location. The in-app payment option makes it a whole lot easier to shop your products instead of visiting the store and it can be another source of sales. Mobile apps are a perfect way to keep your customers engaged with your brand. A mobile app makes it more convenient for your customers to shop, browse and interact with the brand in a number of other different ways. With smartphone users being online anytime and anywhere, information about your company and the offerings gets really easily accessible. It is possible to monetize the mobile app and open new revenue sources for the business. The app can be monetized through various methods including in-app purchases, in-app advertising, paid app and the freemium model. Communication and feedback is vitally important practically in any business. With a mobile application the process of communication gets much easier – you will be able to receive feedback about your company, services and products more instantaneously. If you’re still in the start-up phase, for example, or simply need to grow your customer base – you shouldn’t count on a mobile app as a major source of audience. Normally, app marketplaces – Google Play and App Store – are a poor source of new audience, since users don’t search for products and services there, as well as they don’t tend to search for apps they know nothing about. Making forecasts is crucial to any business project and in case of a mobile app business-modelling is important too. It is obvious that the total revenues of the app – the number of users that pay for the app or for the services multiplied by average revenue per user (ARPU) – must exceed the development and promotion expenses. It is possible to make forecasts based on the analytics available in the internet, search queries frequency, competitive analysis, etc.. Launching an app usually involves a number of actions in an organization – from determining whether the mobile application will integrate with the existing products and systems to marketing the app and managing the content. Especially shortly after the launch of the app you will need to heavily invest in promotion to attract the first users and stay afloat. If you expect the app to attract users by itself, then we need to disappoint you – it is not going to happen earlier than the app gets at least 1 million users. So, it is crucial to have the right resources allocated before you launch the app. Definitely, you will need to update your app after you launch it. And you need to have a plan as to how you will perform these updates – if there will be an agency working for you or you are going to hire a developer. You also need to budget the costs of the development. Metamins is an experienced developer of mobile applications. We have been successfully developing mobile apps and kicking off startups for the last 6 years in a number of domains – automotive, foodtech, telecom, entertainment, education, enterprise communications, cargo transportation, real estate, banking, healthcare. If you have an idea of an app and need advice whether to launch it or it`s not worth it, or if you are looking for a trusted software partner, contact us.